Night Scene of Picadilly Circus, London. 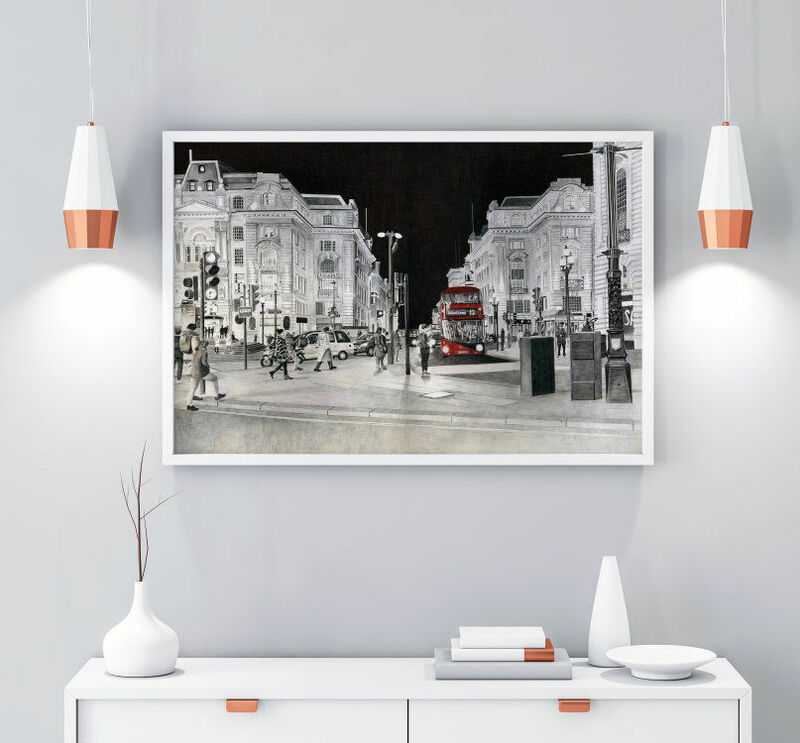 This piece captures the strong contrast of the bright lights of the city at night. The architecture has a Parisian sppearance but, with its flash of colour the London bus heading to Oxford Circus reminds us that this could be nowhere but England's capital city. This work of art comes mounted and framed: Ice White mount, Plain white frame with acrylic glazing. This item will be delivered via Royal Mail special delivery which is tracked for peace of mind. Delivery estimate 3 days from placing of your order.